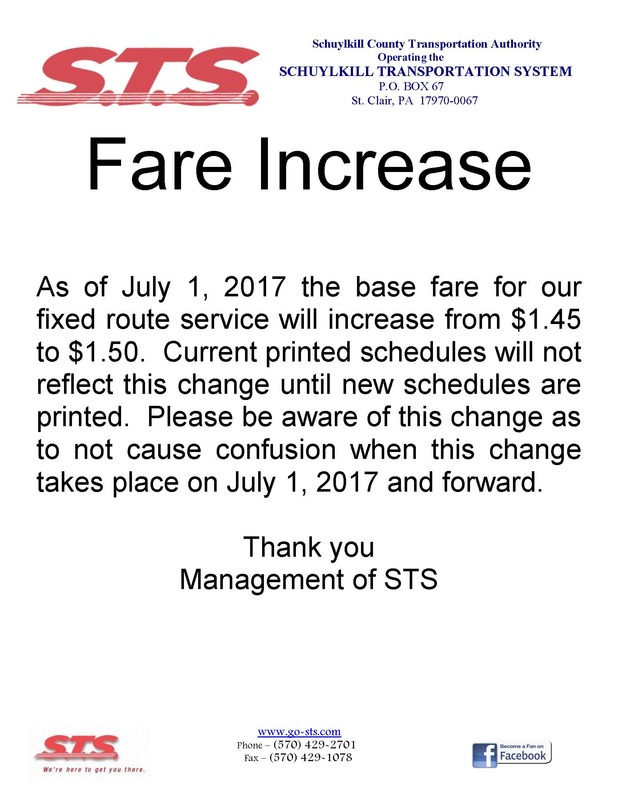 Schuylkill Transportation System surveyed the riders of their fixed route bus service over the period July 5, 2017 to July 11, 2017. The survey was based on a standard survey developed by the Pennsylvania Department of Transportation (PennDOT) and consists of 15 questions which address customer satisfaction, rider characteristics and patterns in service usage. Continue Reading"2017 Fixed Route Rider Survey: Final Report"
Santa and Mrs. Claus spent some time away from the North Pole on Friday, December 15th to help out the Schuylkill Transportation System by driving two of their fixed route buses for the day. Continue Reading"Santa and Mrs. Claus Drive Fixed Route Buses at Union Station"
The Schuylkill Transportation System sponsored an accident training program for some local police departments. The training took place at Union Station, South Centre Street, Pottsville from September 25th through the 29th. 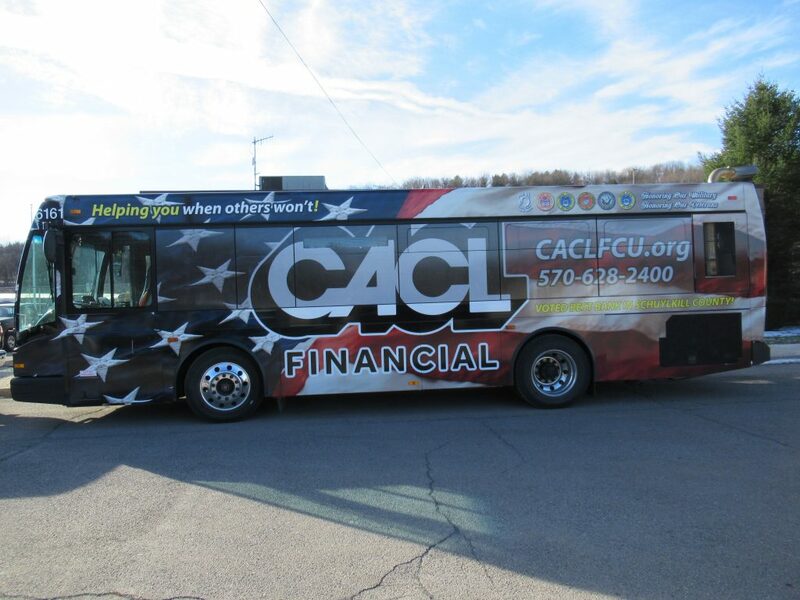 Continue Reading"Local Police receive Transportation Safety Training"
The Schuylkill Transportation System and CACL Financial, located in Pottsville, showcase one of their three full size bus wraps. 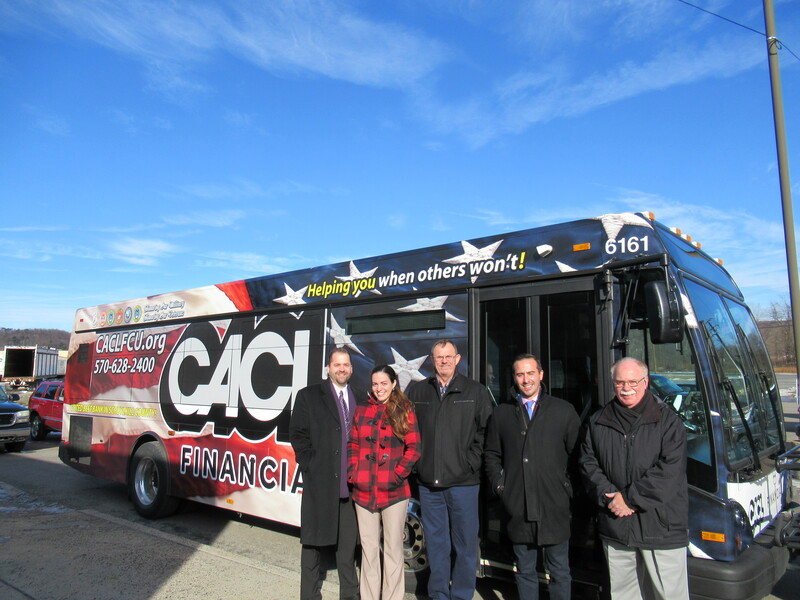 Both STS and CACL Financial are very excited to enter into this new advertising effort. The STS full size bus wrap is the first of it’s kind since the inception of STS transportation services in 1981. 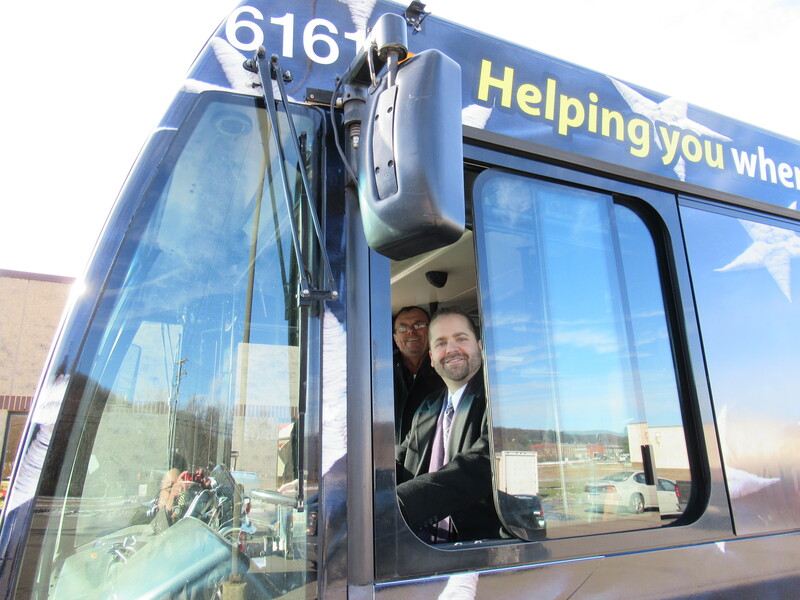 Jason Kostura, CACL Financial, Chief Executive Officer and Dave Bekisz, STS Executive Director onboard STS vehicle #6161. 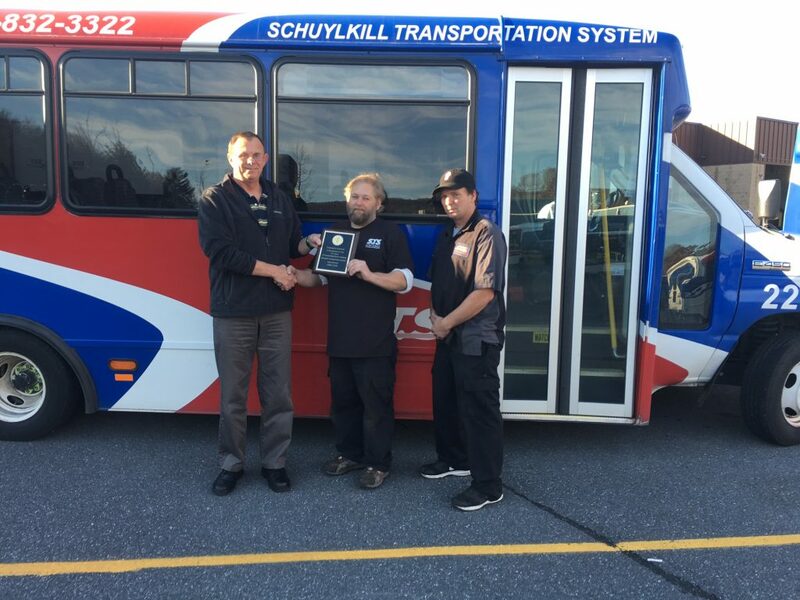 The Schuylkill Transportation System would like to extend congratulations to Ed Darker for his twenty years of dedicated service. Ed holds the position of Maintenance Mechanic Foreman at STS. Congratulations Ed! 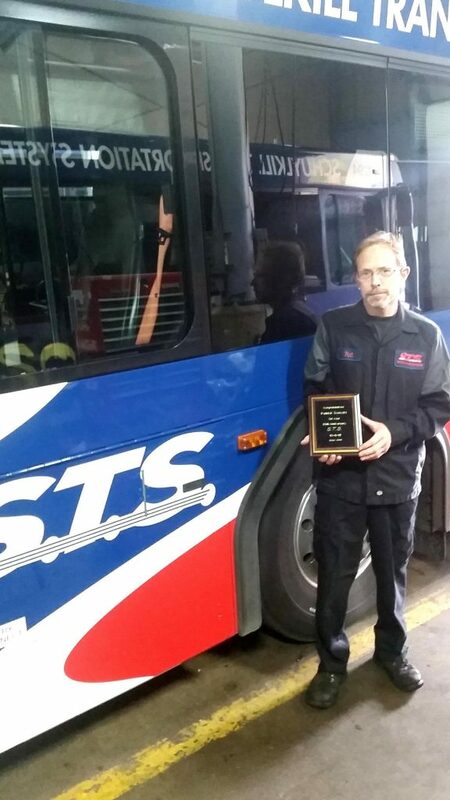 Presenting Ed with his plaque is Dave Bekisz, STS Executive Director while Sam Detweiler, Equipment and Maintenance Manager stands by. 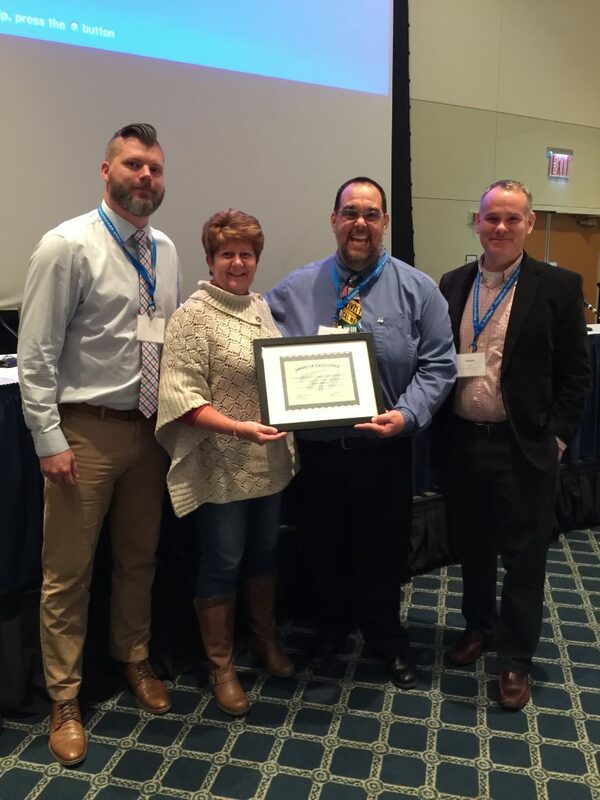 Schuylkill County Transportation Authority received an award from Ecolane Software Company for adopting their “best practices” from top down. Congratulations to 2015 Pennsylvania Public Transportation Association (PPTA) award recipients Mr. Johnny Bowman and Ms. Deb Doran. 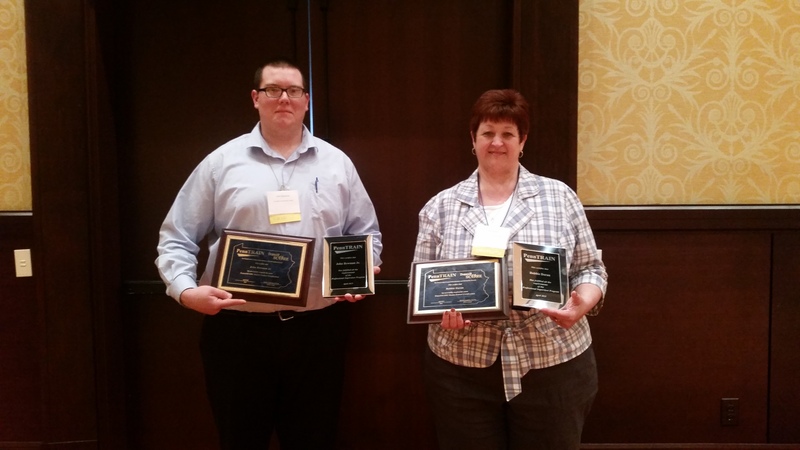 Both received awards for PPTA Professional Supervisor and are Transit SCORE Graduates.